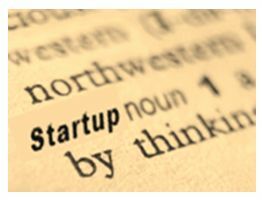 Startup gurus Steve Blank and Eric Ries each have different definitions of a startup to ours. None of us nail it. Steve Blank: An organization formed to search for a repeatable and scalable business model. Such an organisation may have found that model long, long ago and is now a giant. If so, it definitely was once a startup, but describing its current state as a startup seems somewhat odd. Eric Ries: A human institution designed to deliver a new product or service under conditions of extreme uncertainty. The relevant uncertain conditions may also have been long, ago and if so, whatever it is today, uncertainty may no longer be a relevant basis for characterising it as a startup. The iij’s definition: An organisation which is Small, New, Independent and Private (S.N.I.P.). It may not be involved in innovation, but it is still a startup. We also write about larger, older or public organisations if they’re innovative, but we don’t call them startups. My definition was intended to differentiate between two types of businesses that TechCrunch (right or wrong, I use TechCrunch as one of my ‘gold standards’ in terms of certain kinds of innovation news coverage) writes about. One category included Apple, FaceBook and Google, the other was startups. Here at the iij, we also wanted to write about startups, so I hastily went to work putting together a snappy definition for our writers. We wanted to cover stories about innovative small businesses (which would probably exclude stories about new fish and chip shops opening, unless they did so on Mars or grew their chips from algae or they three dimensionally printed their fish). We had to quickly decide what criteria we should use to define a startup. When we tested our SNIP criteria on dozens of writers in surveys of hundreds of stories, we immediately hit problems in the form of Skype. They had been bought out by eBay, but eventually went back to being independent. Were they a born-again startup? The definitions of startups that Steve Blank and Eric Ries give are based upon what the organisations were originally formed to do. Ours is based upon what they currently happen to be. Both approaches raise questions. Does size matter? Official definitions (SME and SMB) e.g. 250 to 500 staff are about tax, not innovativeness. Does ‘new’ matter? Without considering longevity, the startup designation may reflect nothing more than a nostalgic historical reference, but the Zappos buyout was being covered by everyone as a startup story when Zappos was ten years old with a turnover of over a billion, so when does a company stop being a startup? Does private or independent matter? People who write about startups are still writing about Zappos now that they are part of Amazon, a public company. Almost all startups are private, but what if they IPO early? Also, does a startup that has been ‘fully integrated’ after a buyout necessarily still really exist as a separate entity? Ex-startups, another crazy term.